Flowing beneath the Brooklyn and Manhattan bridges, the iconic East River sweeps past the cocktail bars and Jewish delis of the Lower East Side. And it’s these amazing places that inspired Liverpool’s very own East River. Fantastic bagels, eye-catching brunches, eclectic cocktails and smoothies and coffees and all sorts… combining into the unique energy that is East River. Now from the very limited memory we have from GCSE Geography, we remember that a river has a mouth. And one visit to East River will take that mouth on a soothing meander from interesting cocktail to interesting cocktail. 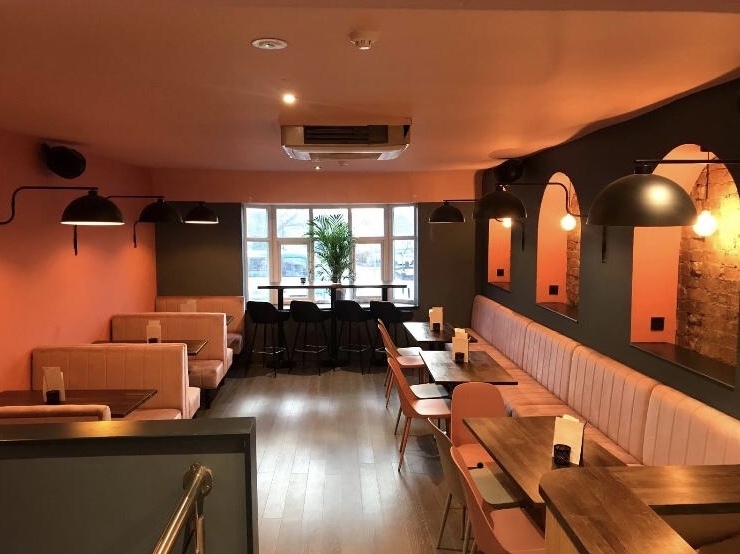 East River is the newest addition to Allerton Road – cementing the location as one of the city’s best places to eat and drink. Their neighbours are Verdant, Maray, Three Piggies, 109 Allerton, Miyagi to just name a few so it fits right in. The space is absolutely beautiful. Like an insight into what Wes Andersons’ home bar would look like. Pastel pink furnishings, exposed brick and framed artwork – it looks like the kind of place hipsters would come to prayer and be baptised in Fernet Branca. As well as being annoyingly pretty, it’s brilliant to watch the space morph from the early morning until the early hours of the morning. Bagels, coffee and bags of toppings – it would take a few different occasions to work your way through the eye-catchers on the menu. As the early birds, freelancers and lunchers go home a new, intimate and dimly-lit venue comes alive. It’s romantic – and not in the Mark from Love Actually turning up to your house with no warning with giant creepy notecards. Just build up your feelings over time and never pluck up the courage to actually tell them like the rest of us, Mark. 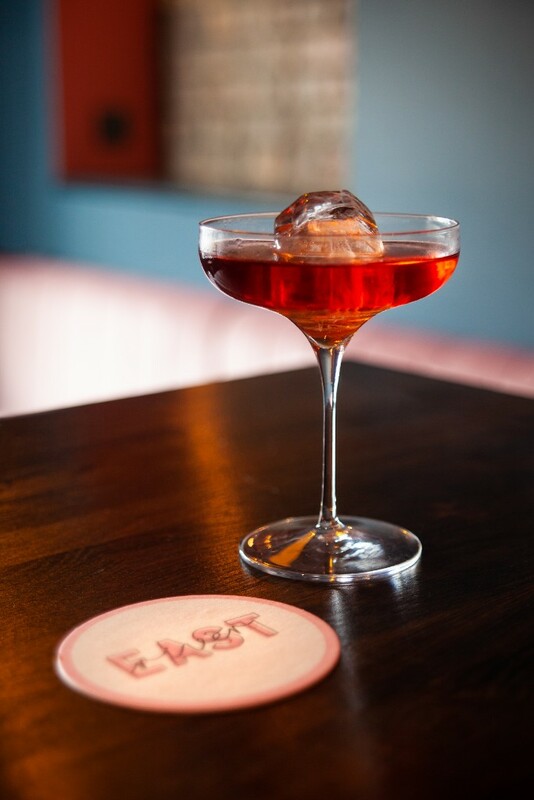 East River offers a softer mid-week approach to love and live music and DJs at the weekend to give you something to do with all the energy from the endless Espresso Martini’s. Speaking of drinks – there’s plenty of ‘em. Like New York, the menu is split into Uptown and Downtown and you’ll struggle to find a bad drink on there. 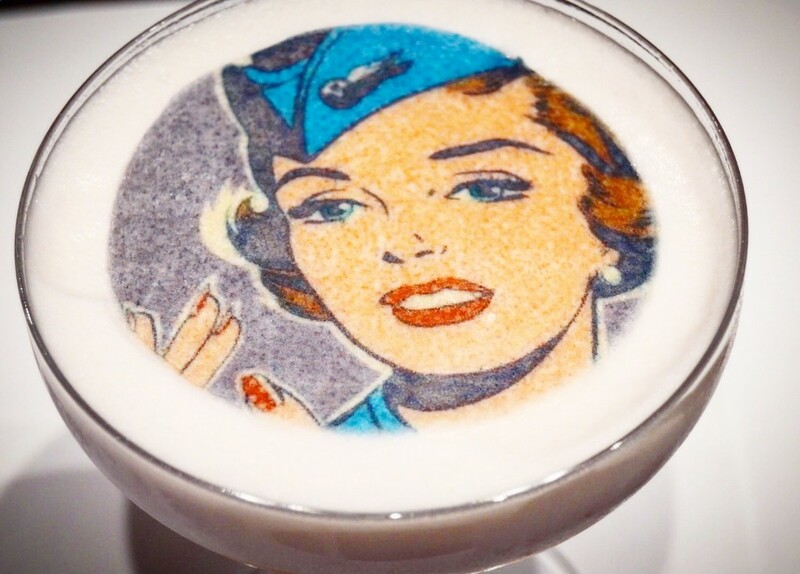 We especially loved the ‘Mile High Clover Club’, it’s a mix of Tanqueray Gin, homemade raspberry syrup, viollette, cocchi rosa, lemon juice and whites finished with a pop-art print on top. We’re also still swooning over their take on a White Russian, The Dude’s favourite drink. 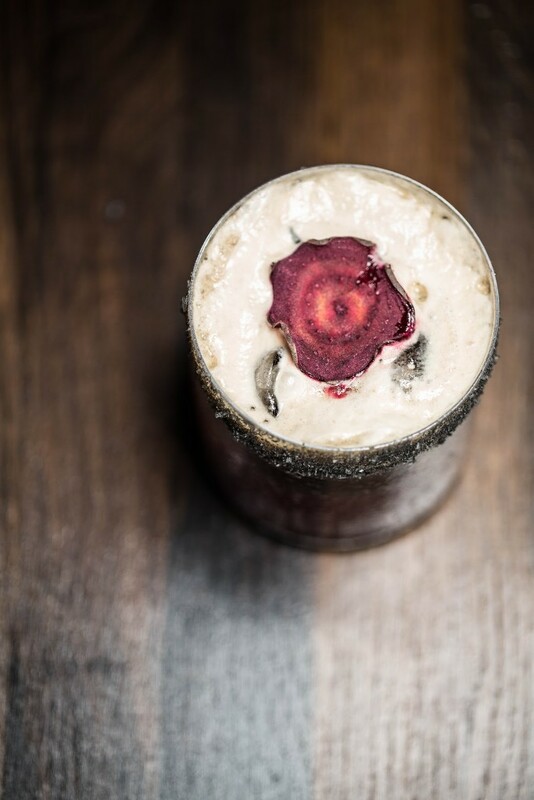 It consists of Ketle One Vodka, Mr Black Cold Brew Liqueur Angostura Amaro and Coco Pops Breakfast Cream. As if you didn’t have enough reasons to visit, East River also does a bottomless bagel brunch at the weekend. It comes with a platter of bagels, various cream cheeses, toppings, meats and more and your choice of bottomless Aperol Spritz, Raspberry Bellini or Espresso Martini. That’s one hell of a way to spend an afternoon.